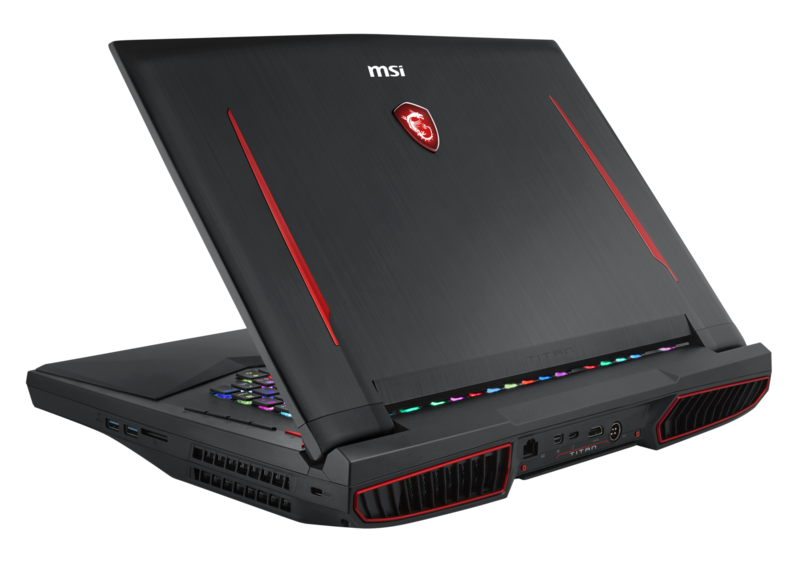 MSI flagship series gets refreshed with the latest RTX 2000 GPUs from Nvidia, a wide array of SSD storage options and enhanced gaming immersion features. 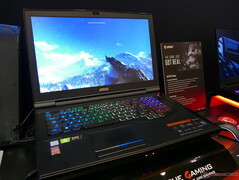 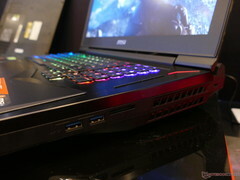 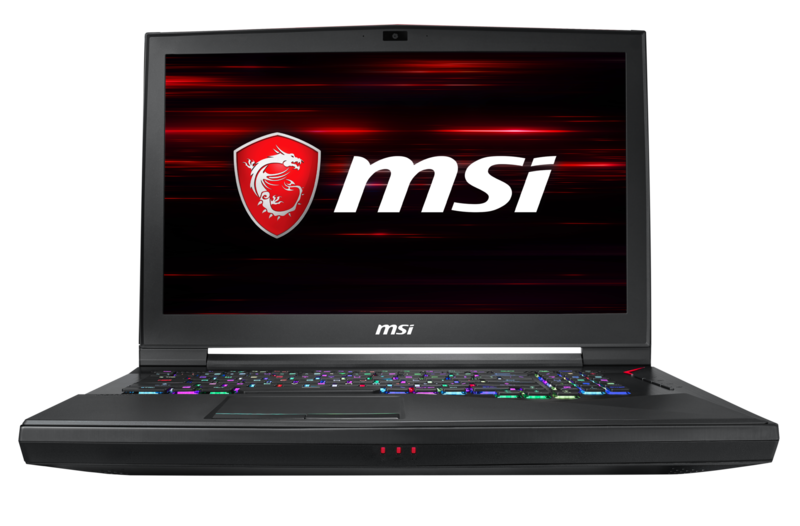 The flagship series from MSI is getting updated specs that include the newly announced RTX 2000 mobility GPUs from Nvidia, a large array of NVMe / SATA SSDs / SATA HDD storage options, plus features like synchronized RGB lights and haptic feedback placed underneath the palm rest area in order to enrich the gaming immersion. 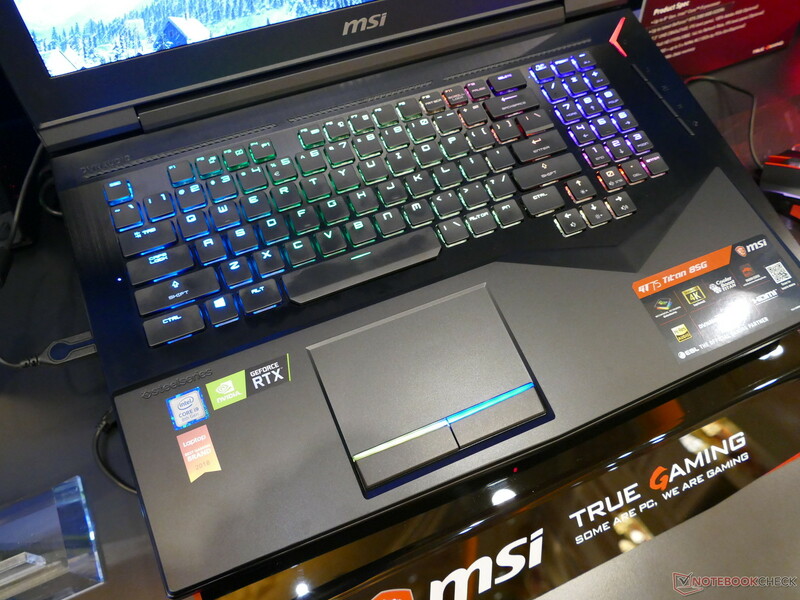 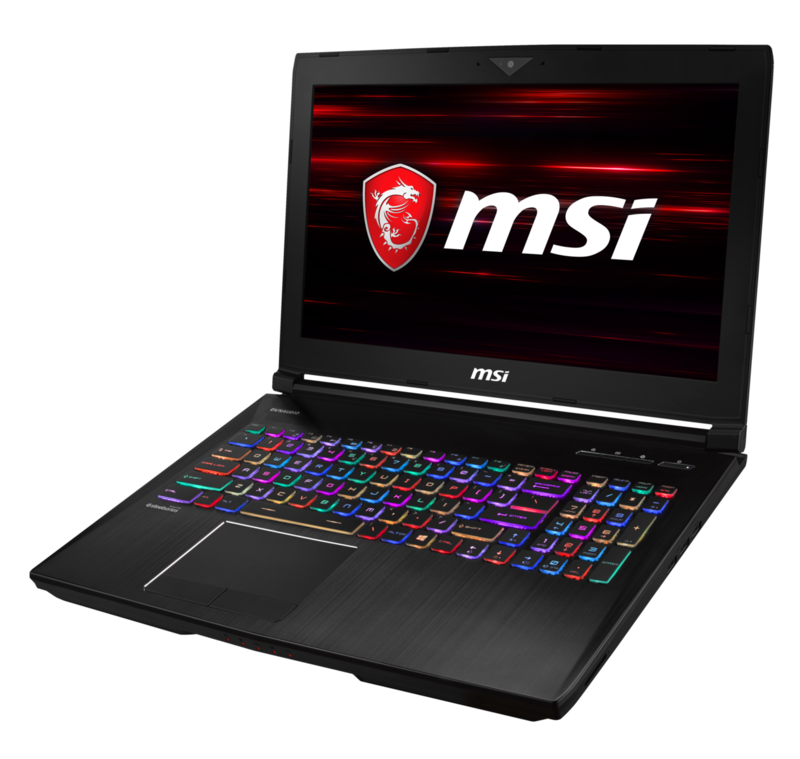 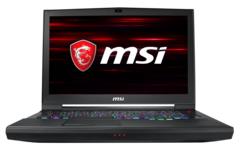 MSI’s gaming laptop division is showcasing its latest innovations through brand new models powered by Nvidia’s freshly announced GeForce RTX 2000 mobility GPUs at CES 2019. 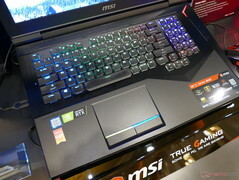 With its new “The Game Just Got Real” initiative, MSI is bringing more life-like gameplay experiences for gaming enthusiasts all over the world thanks to synchronized RGB lighting and haptic feedback generated underneath the palm rest area, which vibrates upon in-game events like gunshots, crashes and explosions in order to enrich the immersion. 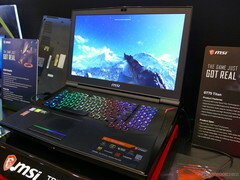 MSI will also showcase a few models equipped with Intel’s WiFI-6 NICs capable of 1 Gbps+ speeds. 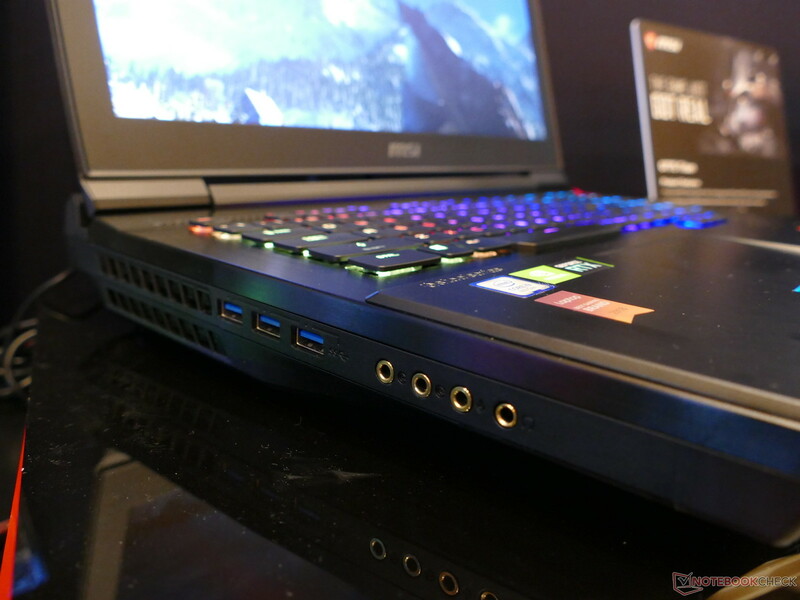 The GT Titan models have been the pinnacle of the gaming laptop lineup for quite some time now, and the new 17.3-inch GT75 and 15.6-inch GT63 Titan models do not disappoint at all in this respect. 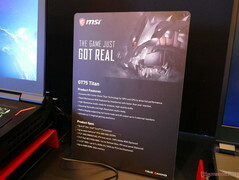 While the GT75 Titan is powered by Intel’s fastest gen 8 i9 CPUs, the GT63 variant is limited to the i7 CPUs, but both models can be equipped with the RTX 2060/2070/2080 GPUs. In the display department, users can opt for FHD 144 Hz IPS-grade or 4K screens (100% Adobe RGB gamut only for GT75). 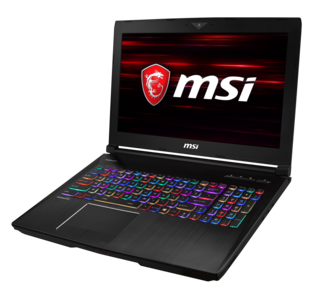 Storage-wise, the GT75 offers a wide array of options including 1x M.2 NVMe PCIe Gen 3 slot, 2x combo slots for M.2 NVMe or SATA SSDs, 2x M.2 NVMe for Intel SSD devices and 1x 2.5-inch SATA HDD bay, whereas the GT63 only comes equipped with 1x M.2 NVMe/SATA SSD combo and 1x 2.5-inch SATA HDD. 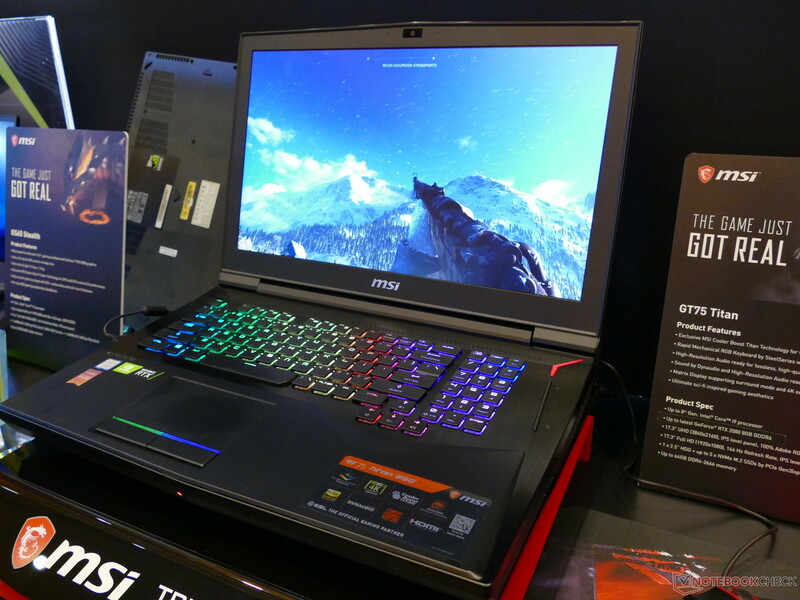 The GT75 sports a mechanical RGB keyboard, while the GT63 gets a per-key RGB gaming keyboard by SteelSeries. 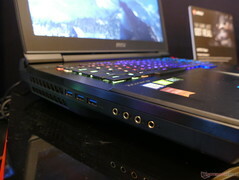 Both models feature the ESS Sabre HiFi sound card with Dynaudio speakers and woofer plus the Nahimic 3 Audio enhancer.